Three legs, making a structure that intertwines like lianas in an exotic jungle. Three soft, arched lines, mixing the design's natural looks with a lasting, extremely customizable material. 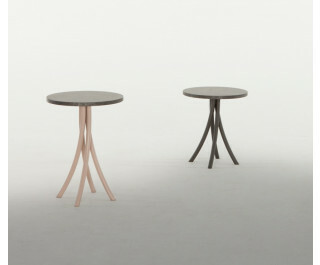 The wooden top is round, in the three versions: a shape to complete the vertical spiral that supports it.